The term “specialty glass” today refers to glass made from recipes that allow for new breakthroughs in products and services. Corning Glass Works introduced Pyrex as a specialty glass to the world with advertisements promoting how breakthroughs in the laboratory improved life in the kitchen. 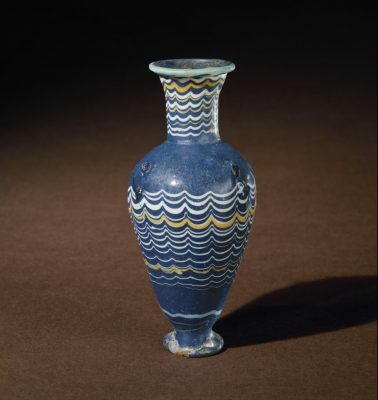 3,500 years ago in ancient Mesopotamia and Egypt, long before Pyrex, glass was a new thing. 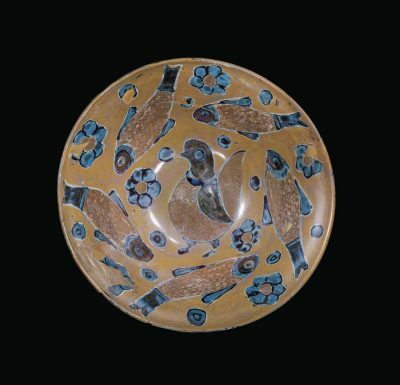 It was a substance that could be made to look like a precious stone (like blue lapis lazuli), but it didn’t need to be mined or deeply carved. It could be gathered up and shaped, pressed, spooled, or molded to make things that looked expensive and exotic but required less effort. That recipe for the first glass was the beginning of what we call “sodalime.” The name comes from two of its primary ingredients: soda (sodium carbonate aka soda ash or washing soda) and lime (calcium carbonate or limestone). When it was first discovered, sodalime, like Pyrex, was a specialty glass: it did something that no other material of the day could do, and the makers of that glass experimented with recipes and processes to improve and adapt it further. 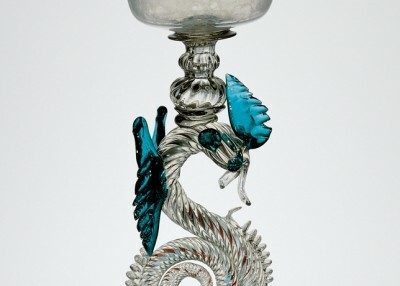 Over the millennia, up until the 19th Century, glassmakers discovered new kinds of “specialty glass.” Transparent glass suitable for mass production; a clear, colorless glass that would look like rock crystal; a brilliant glass that could be faceted to play spectacularly with light; a deep; ruby-like clear glass fit for royalty; all of these were specialty glasses of their day. With the coming of a deeper understanding of the nature of atoms, the discovery of the chemical elements, and the organizing principles of families of elements seen in the Periodic Table, the study of glass formulas was ripe for a revolution. The idea of Pyrex came out of this new approach to recipe development. 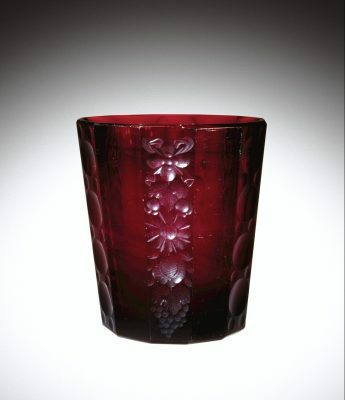 The original Pyrex glass is known to scientists and artists as a borosilicate, “boro” for short. The main ingredients in the glass are oxides of the elements silicon, sodium, aluminum, and boron. In addition to silica sand and aluminum oxide, the batch contains sodium borate, an ingredient you can buy in the laundry aisle at the grocery store: Borax! A valued feature of borosilicate glass is that it expands and contracts less when heated and cooled, making it less likely to break as it heats up in the oven or cools down on the counter top. Scientists who study glass—how the ingredients determine a formula’s behavior—have long sought to understand why the addition of boron oxide can make glasses that expand and contract far less when heated and cooled than, say, more common sodalime glasses. Only in the last few years is the answer coming to light, and it has to do with what we have discovered about atoms. In sodalime glass, sodium atoms act to soften the glass and make it easier to shape at temperatures comfortable to machines and artists. 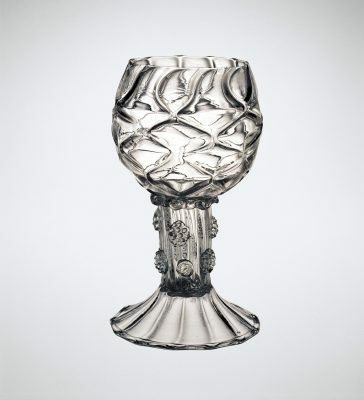 But the sodium also gives the glass its relatively large amount of growth when it heats up. When a material gets hot, its atoms vibrate more and more and the object expands as the space between the atoms increases. Sodium atoms need to move more than most other atoms in glass. In fact, sodalime expands almost THREE TIMES as much as borosilicate for the same amount of temperature! That’s because, in boro, most of the softening is done by the added boron atoms, so less sodium is needed. Boron in glass vibrates much less than sodium, and so the whole thing expands less as a consequence. Other specialty glasses have become a part of our lives. Some have served an important role and then waned, like old CRT television and computer screens, or radio tubes. New glasses are being invented constantly to meet new challenges, like the sheets of glass in flat panel displays and cell phones. Glass continues to be a hot area of research and invention. And it all comes down to the atoms, as it has for thousands of years of human curiosity, exploration and innovation. Cleaning your beloved Pyrex — whether clear, colored, decorated, or plain — can be a challenge and should be done with care. First, never, ever put any Pyrex through a dishwasher. This is the fastest and most damaging thing that you can do. For Pyrex, the 1980s was a period of product renewal and rethinking. 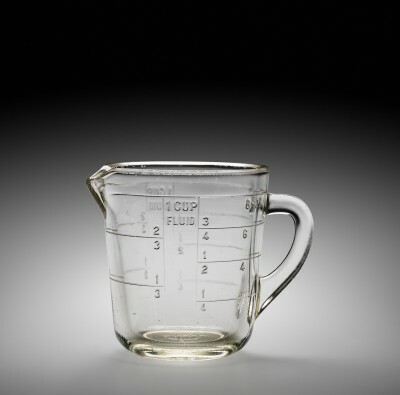 Pyrex measuring cups were a staple in American homes long before a revolutionary redesign in 1983 that allowed the cups to be stacked maximizing storage space in the kitchen.